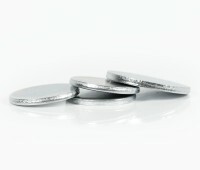 Zinc coated metal discs in different dimensions. Fits great as magnetic-field blocker/reinforcement for magnetsystems or permanentmagnets. 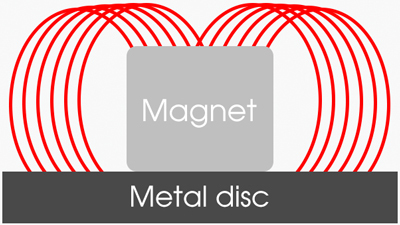 Place the magnet on the disc to "push" the magnetic field. This way the magnet force gets stronger, however the field gets shorter. 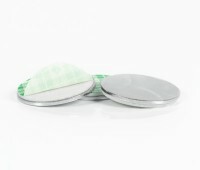 Choose disc with or without adhesive.